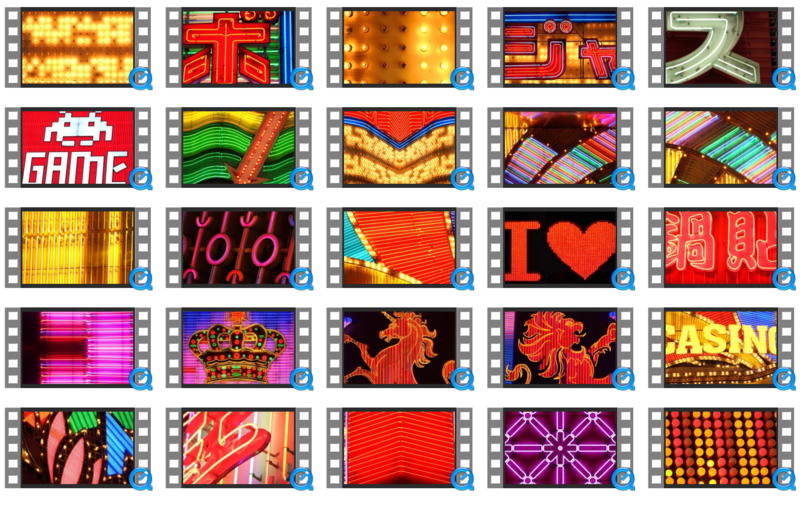 JAPAN NEON is a collection of 25 Full HD Seamless VJ Loops by our good friend at www.palnoise.org // “Japan Neon” VJ Loops was mostly shot in Japan. Light bulbs, Neon Tubes, Led Signs, Japanese letters, and every light form you could think about! This one is a Screen Killer!! You will get 25 VJ Loops (1920x1080px) in 2 separate .zip files. All videos are encoded in Quicktime (H264).